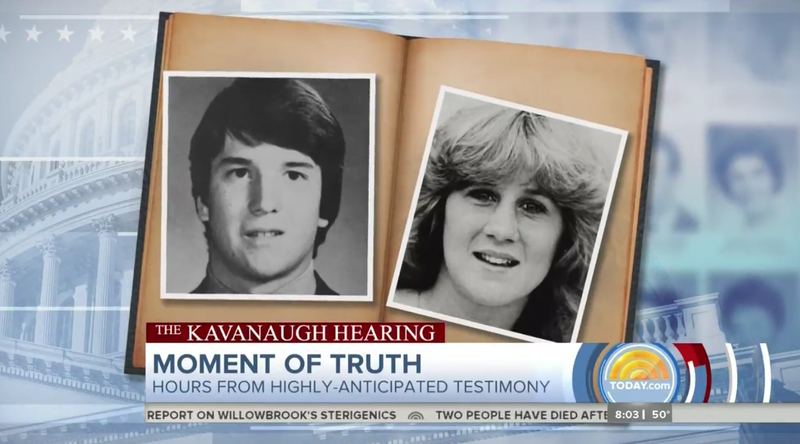 NBC News‘ “Today” offered a “special edition” Thursday, Sept. 27, 2018, that used elements from looks used to cover previous hearings. 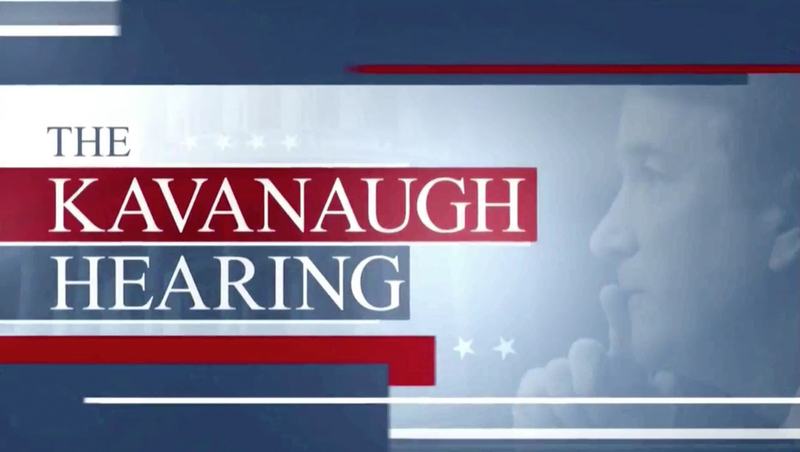 The shortened open, which was dedicated entirely to the Kavanaugh hearing, featured a similar light blue, bold red and white color scheme as well as hints of the animated diagonal elements the network used for its coverage of the James Comey hearings in June 2017. That said, the look shifted to a more horizontal bar look that is more in line with the “Today” look. A similar look was used when NBC broke in with a special report at approximately 9:30 a.m. eastern, interrupting the tape delay of “Today” in parts of the central time zone. Other NBC stations joined coverage at 10 a.m. eastern. In addition to the open, the top of “Today” also featured a timeline-style graphic on the show’s production area video wall that showcased the schedule for the day before the handheld camera pulled back to show live shots of two guests — and then swung over the studio’s curved video wall showcasing the network’s team of correspondents.